Chuck Bolland was born in Tacoma in 1941 and started school at Bryant Elementary in the Hilltop area before the family moved to Lakewood. He was in the fifth grade at Lakewood Elementary when the family moved to Idaho. Chuck came back to Tacoma often to visit family and when he was about 11 years of age, his uncle, Elliot Brown, would bring him along to work at a little building near the River Road-Pioneer Way intersection. This was the transmitter location for KTAC. At the time, KTACâ€™s studios were located in the Winthrop Hotel, but the night DJâ€™s did their shows from the transmitter site. For Chuck this made quite a lasting impression. While still a junior in high school, back in Idaho, Chuck got a weekend job on the small townâ€™s radio station. Because of vacations and sick day absences, he was often called in after school to fill in a shift-- a great place he said, â€œto learn and make your first mistakesâ€�. 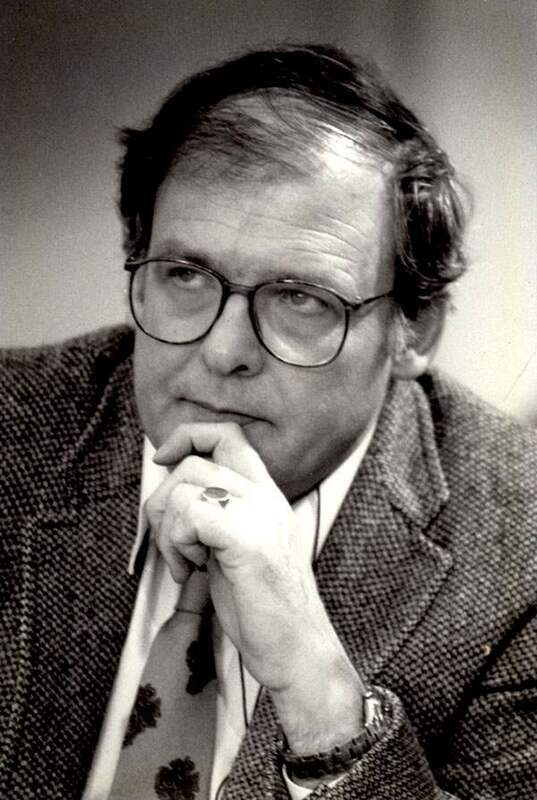 Following radio station jobs in small towns in Southern California, Washingtonâ€™s Tri-Cities and Spokane, Chuck was hired in 1964 as news director for Seattleâ€™s KJR. Thatâ€™s where the daily sports feature, â€œThis is Chuck Bolland and thatâ€™s the way the ball bouncesâ€� came into being. It was quite by accident according to Bolland. Feeling as though there was no room to grow at his present job, Bolland left the Northwest to accept an offer in Cincinnati that provided station management and front of the camera television experience. Bolland returned to the Northwest in 1976, landing at KTAC. For the next ten years he was the stationâ€™s news director, but once again was best known for the daily sports commentary. â€œIt was something I could never escape and Iâ€™d have to say Iâ€™m glad I didnâ€™tâ€�, said Chuck. At the conclusion of the ten years, KTAC was facing its demise and Chuck went to work for the Washington State Legislature in Olympia as a public information officer. Then, after six years, he accepted a position at the Department of Fish and Wildlife where for the majority of 16 years Bolland produced various audio-visual communication projects as well as a monthly cable TV show called, â€œWild About Washington. Since leaving his last fulltime radio position, which was in Tacoma, Bolland has continued to produce five sports commentaries each week for distribution to 20 Northwest radio stations including KLAY. Does Television Control Sports? (1978) Does Television Control Sports? Mr. Atlas physique - editorial (1978) Mr. Atlas physique is on the way out! Another classic Chuck Bolland sports editorial on KTAC radio circa 1978.